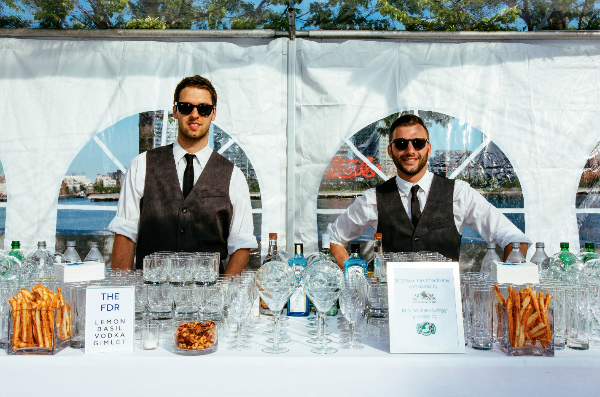 Reflections on the Sunset Garden Party, Hillary Clinton's visit to the Park, upcoming events, and more! Email not displaying correctly? The longest day of the year is Sunday, June 21st. That this day lands in June seems fitting, for June has been an incredibly busy (and long) month for us at the Park. So busy, in fact, that we wanted to use this newsletter as an opportunity to share all of the exciting things that have been happening at the Park these past few weeks - from our biggest fundraising event of the year, to Hillary Clinton’s campaign launch, to the award 4freedoms.org received in educational website design. This year at the Sunset Garden Party, we featured a special video presentation celebrating the educational initiatives of Four Freedoms Park. 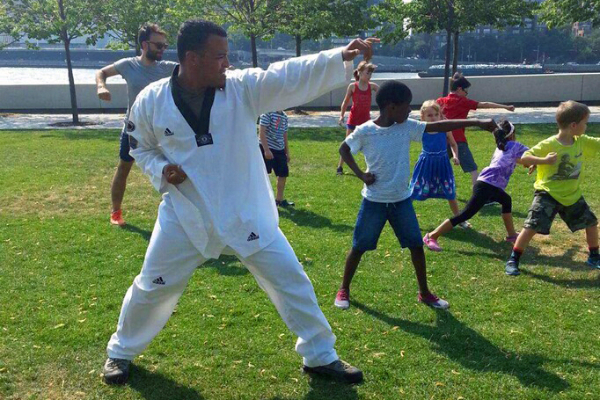 In 2015, we hosted more than 1,000 students from all across New York City in grades 3 through 12. One of the goals of our education program is to help students make connections between their own lives and the themes of the Park – the Four Freedoms, the social and political initiatives of President Roosevelt, Louis Kahn's architecture, design, etc. This is accomplished through guided tours of the Park, art-making workshops, and immersive in-school residencies. The Four Freedoms in particular remain ever relevant today, and studying this speech helps students connect to the past, contextualize recurring themes in history, and develop into engaged, informed, and active citizens. For us, this video presentation was an opportunity to showcase the work of our Education Department, and to share the unique story of education at the Park. You can read more about the ways we teach here, and view the presentation from the Sunset Garden Party blog; both are available on our blog. This Tuesday, June 16, we were honored to host Cornell Tech’s ceremonial groundbreaking. We were delighted that Mayor Bill de Blasio, former Mayor Michael Bloomberg, Lieutenant Governor Kathy Hochul and many other supportive friends of the Park were in attendance. The first phase of the campus, located to the north of Four Freedoms Park, opens in the summer of 2017 and will be a hub for technology innovation. 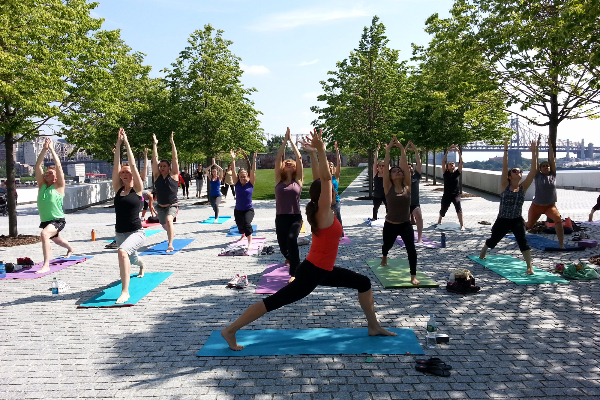 And finally, you may have heard, that on Saturday, June 13, Hillary Clinton formally announced her 2016 candidacy for President of the United States at Four Freedoms Park. One of the struggles of any cultural institute, particularly a young cultural institution, is visibility, and in a city of over 8 million people, a city that never sleeps, visibility takes time and patience. We, a staff of just 20, were thrilled to have had the opportunity to bring Four Freedoms Park not just to the national stage, but to an international stage. Over 5,000 visitors came to our small, four-acre Park that day – young and old, families and children, traveling from New York City and further afield to hear Secretary Clinton speak. They filled the lawn, spreading out under the Linden trees and onto the risers behind the stage, waving small American flags. Photos tell a better story of this day than our newsletter ever could. You can view photos from Hillary Clinton's campaign launch here. Information about upcoming programs, fdr4freedoms.org, and more is available below. We invite you to visit the Park often, and to take advantage of our events and public programs. As always, please let us know if you have questions or ideas to make the Park even better, or if you simply wish to say hello. Thank you for being a part of our community – we look forward to seeing you soon! 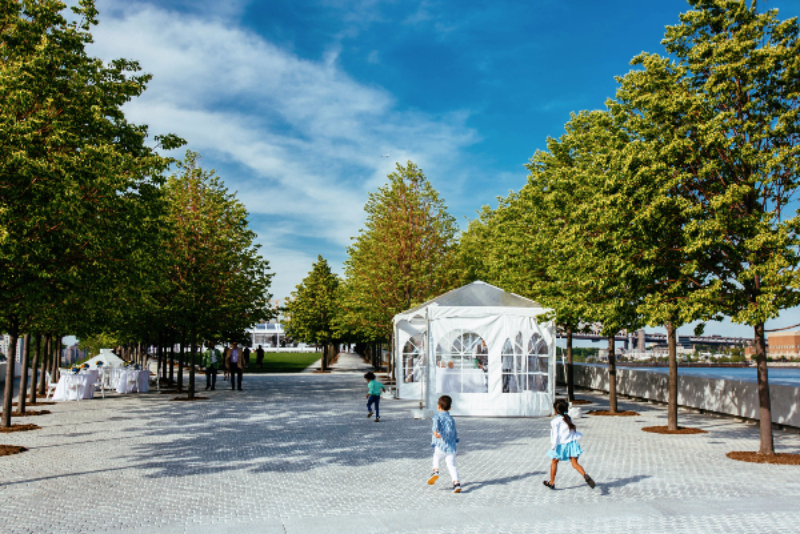 Four Freedoms Park Conservancy will participate in Make Music New York - the live, free musical celebration, encompassing over 1,300 concerts on streets, sidewalks, and parks across the five boroughs. Rain or Shine! Drummer and balafon player, Winard Harper along with the musicians of Jeli Posse create their music by combining African and Caribbean rhythms with bepop. This event will bring together a dozen players, creating lush and ominous waves of sound in a new piece by composer Alexa Dexa, and provide audience members with the opportunities to try out a theremini. The season of beer gardens has arrived, and this Sunday, June 21st, we're hosting our very own pop-up beer garden! Beer and wine lovers should head down to the Park from 4pm - 6pm for brews, wine, and sangria available for purchase. 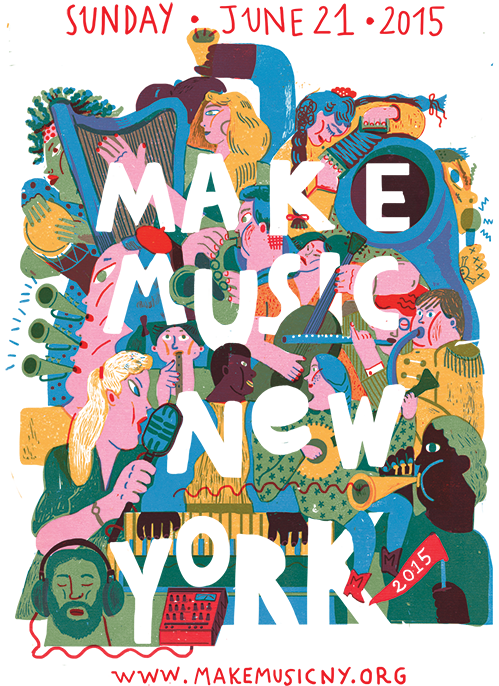 As part of Make Music New York, two bands will perform between 2:30 and 6pm so you can sit back, relax, and enjoy the sounds of summer music at the Park. Katchkie Farm Food Station will be onsite from 11am-6pm serving delicious sandwiches, hot dogs, and other snacks. In May, fdr4freedoms.org received distinction as a “Best in Class” website in the education category by the Interactive Media Council, Inc. The Interactive Media Council is a nonprofit organization made up of web professionals who are dedicated to the recognition of web-related achievement. The “Best in Class” is the highest honor bestowed by the Interactive Media Awards and represents the very best in planning, execution and overall professionalism in web design. 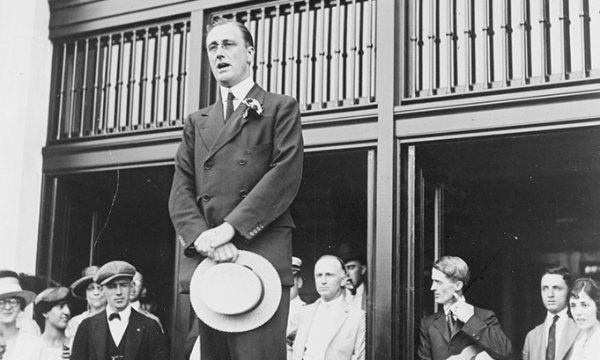 Since the Park hosted a presidential candidate's campaign launch this month, we thought it was the perfect opportunity to highlight Franklin D. Roosevelt's own campaigns here. FDR ran for president four times and won - in 1932, 1936, 1940, and 1944; "no other president before or since has matched that record— nor ever will, unless Congress repeals the constitutional amendment limiting presidents to two terms, ratified in 1951." The story behind the "Campaigner in Chief's" run for president is available on fdr4freedoms.org by clicking here.